Champaign, IL – Essie Harris, Douglass Branch Manager of Champaign Public Library, receives the Illinois Library Association’s 2018 Hugh C. Atkinson Memorial Award, which is awarded annually for sustained activity and contributions having a lasting impact on librarianship. 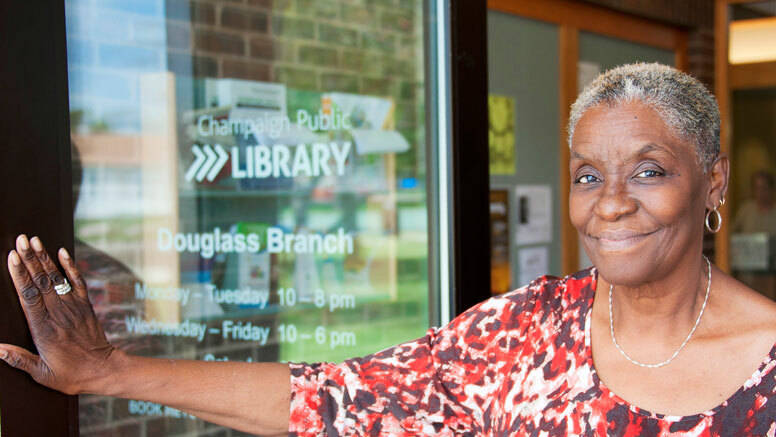 Coming up on her fifty-year anniversary at the Champaign Public Library, Harris has been a longstanding champion for bringing services, programming, and collaboration to her community. Just one example of this is when Harris recognized that there was a dire need for improved access to computers and the internet at her library. Not only did she spearhead efforts to fix this problem, but she also helped find funding for remodeling the space. Harris is a role model for staff at the Douglass Branch as well as throughout the region. She encourages people to be independent and empowers them to try new methods, knowing there’s much to be learned when things don’t go exactly as planned. Ms. Harris selflessly shares her expertise without condescension. Her sense of humor and open style of communication provide a safe space for others to tap into their potential and display their talents, fueled by her encouragement. Giving back to the profession, Harris has partnered with the University of Illinois at Urbana-Champaign School of Information Sciences to encourage graduate students to gain valuable, hands-on experience while working with real library customers during a 100-hour practicum at the Douglass Branch. Essie Harris is the personification of the ultimate advocate for library users, especially when it comes to access and equality. Her sustained commitment to community along with her extensive use of shared resources make Essie Harris extremely deserving of the Hugh C. Atkinson Memorial Award. The Hugh C. Atkinson Memorial Award will be presented at the 2018 Illinois Library Association Annual Conference on October 9, 2018, in Peoria, Illinois. About the Illinois Library Association awards: The Illinois Library Association recognizes excellence in librarianship and library service in Illinois as a way to increase awareness of the unique contributions librarians are making statewide in our communities. About the Champaign Public Library: Serving as a vital community center welcoming every member of our community, the Champaign Public Library ranks in the top 3% of public libraries nationwide, and earns a three-star rating from Library Journal. The Champaign Public Library offers books, movies, reading contests, live music, and so much more — all to spark a joy of reading, especially in children. The Library inspires, informs, and connects our community. Learn more at champaign.org.